It can be a little tricky to find Gooseberry Mesa if you haven't been here before. Hopefully you can find your way to Hurricane, Utah and you'll then have your choice of two different routes. If you are just coming straight to Gooseberry the best route is south towards lake Powell and Colorado City on highway 59. Go past the gas station in Apple Valley for 1.2 miles and you'll see a Scenic Byway sign and you'll want to take that left hand turn. You'll be on that dirt road for 2.5 miles then turn left over the cattle guard. At this point you can follow the Gooseberry Yurt signs. Continue on for 3.5 miles until you get to the Gooseberry Mesa Trail Head. Turn right and go 1.5 miles to the end of the road. 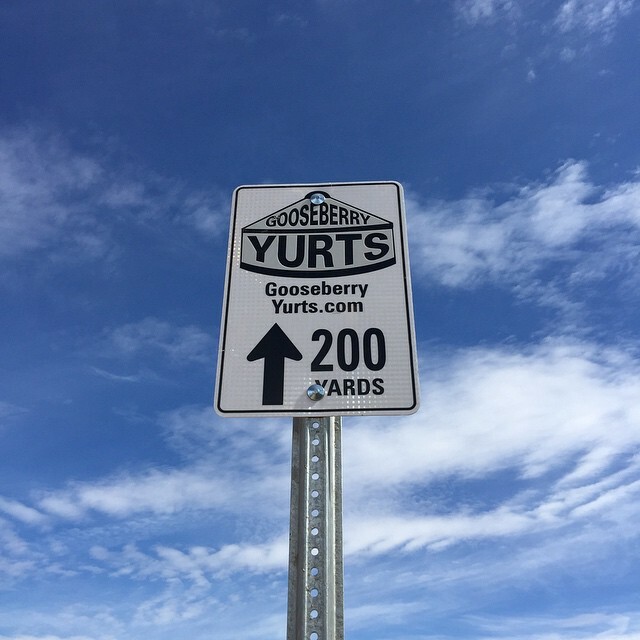 Look to your right for the Gooseberry Yurt signage and proceed for about 300 yards. Congrats! You made it. If you are visiting Zion National Park (highly recommended!) you will want to follow highway 9 until you get to Rockville at which point you'll take the bridge road, 200 E which turns into Grafton Rd. Stay right for 1 mile on the main paved road then turn left for 4.5 miles on a steep rough road (4 wheel drive required) before turning right over the cattle guard. At this point you can follow the Gooseberry Yurt signs. Continue on for 3.5 miles until you get to the Gooseberry Mesa Trail Head. Turn right and go 1.5 miles to the end of the road. Look to your right for the Gooseberry Yurt signage and proceed for about 300 yards. Congrats! You made it.